KENZO logo sweatshirt made from pure cotton. The otherwise simple pullover is elevated with a large white KENZO logo to the rear and embroidered 'K' detail to the back yoke. 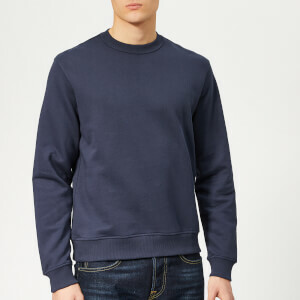 Cut with a relaxed shape, it features a ribbed crew neck and rib-knit cuffs and hem.